Lu’s apprentice Mai Sato, who won the world pole dance championships in 2009 and 2010, was an instructor at the studio, currently working as the first Japanese aerialist for ‘Love’, one of the Cirque du Soleil shows in Las Vegas. All the instructors at the studio are highly competent as current dancers, pole dance championship finalists or division champions and current circus artists. Our instructors love dancing and create a fun, warm and relaxed environment for students of all abilities, beginner to advanced, everyone is welcome. We also cater for events and performances, Bachelorette parties (Hen parties), provide dancers, rent poles for events and rent out studio space. 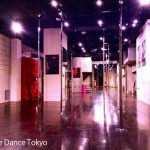 Tomo Konishi – Miss Pole Dance Japan 3rd place. All instructors hold a fitness license, possess many years of dance experience, and are highly trained professionals. The studio is within walking distance from Tokyo Midtown and Roppongi Hills, accessible from Tokyo’s major stations such as Harajuku, Shibuya, Shinjuku and Ikebukuro. 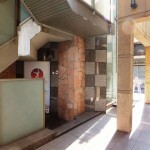 We are only a 2 minute walk away from Akasaka Sacas. We are conveniently located near the Akasaka and Akasaka Mitsuke station on the Tokyo metro Chiyoda, Ginza, Marunouchi, Hanzomon, Nanboku lines. There are numerous restaurants, cafes and shops for before and after classes. 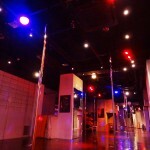 The studio is equipped with large 2m×2m protection mats, allowing even the most advanced pole dance tricks to be practiced in a safe manner. Our equipment is approved by the world famous ‘X-Pole’ company. We also provide sport injury insurance in our studio. Our instructors make sure you’re always comfortable with your ability and having fun while learning safely. Please ask if you have any concerns! We organise student showcases and dance events, and provide dancers to events, TV and media. You will have many chances to perform if you wish to. World famous pole stars including Natasha Wang, Jenyne Butterfly, Felix Cane, Evgeny Greshilov, Alex Shchukin and more have held workshops at our studio. We occasionally hold special workshops by famous dancers. Please check for our next one here. For more detail about studio rental click here. Fro more detail about pole rental click here. We provide dancers for your event, media and parties. Please contact us for more details.